May 28, 2017. Check out their online shopping! Visit us at the Island Roots Market at Pleasant Valley Winter Market every Wednesday from 3 - 6pm. Located at 6100 Dumont Road in North Nanaimo. an all natural SOIL ENHANCER. way to enhance the growth of your plants. 4th Annual Veg Expo in Vancouver attracts over 11,000 visitors to 200 exhibitors promoting new and innovative healthy products. 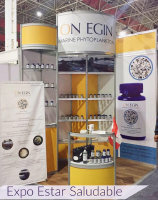 On Egin launched their new product line featuring Vitamino and Alcalino marine phytoplankton products in Mexico! 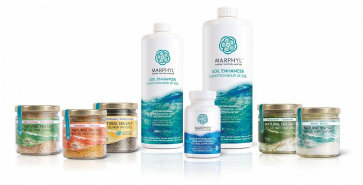 Chorus Naturals has expanded to include a marine phytoplankton health supplement worth checking out! While we're extremely busy growing phytoplankton here at Canadian Pacific Algae, we're always interested in a new venture! 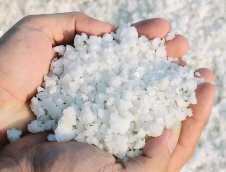 Introducing our 100% pure all natural Sea Salt. We had fun experimenting to come up with exciting flavours. Add flair to cooking with our flavoured sea salts such as Rosemary, Cayenne, Lemon, Lime and Garlic. Custom formulations are available, Contact us to get started today. And after a hard days work, nothing feels better than a relaxing massage with natural Sea Salt. On Egin is busy this year! 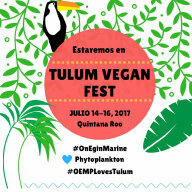 July 14 - 16 they exhibited at the Tulum Vegan Fest in Mexico. For more information, check them out online, Facebook & Instagram. EVERYTHING YOU WANTED TO KNOW ABOUT MARINE PHYTOPLANKTON! OUR BODIES NEED SALT, BUT WHAT'S THE RIGHT KIND? On Egin attended the Expo Estar Salud tradeshow in Monterrey Mexico in January 2017. 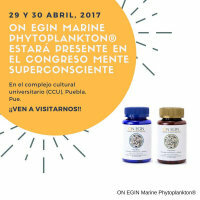 Start your day with On Egin Vitamino and Alcalino Marine Phytoplankton. 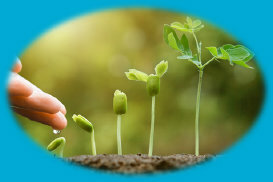 Julie Day at todayshomeowner.com gives some great insight on this topic in her article "The Debate over Organic vs. Chemical Fertilizers". "Phytoplankton or microalgae are microscopic plant-like organisms that make their own food just like other green plants. These plants have many health benefits." Ever wonder which is better? Liquid or powder marine phytoplankton? Why is marine phytoplankton good for us? Find these answers and so much more. Check out this fascinating video by David Wolfe "Marine Phytoplankton: Super Nutrition from the Sea"
Ever wonder what phytoplankton does for your body? This article by at healthyeating.com will answer all your questions. 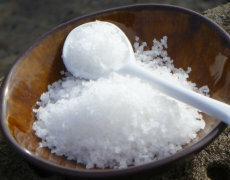 "Health Benefits of Sea Salt: How Does It Differ from Table Salt?" "Sea salt benefits extend beyond avoiding harmful additives often found in table salt. 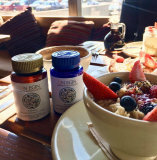 It offers healing properties and is enriched with nutrients and trace minerals..."
"Phytoplankton and in particular marine ones are endowed with carotenoids, chlorophyll, minerals, amino acids and nutrients. Some of these include selenium, zinc, magnesium ....."
ORGANIC VERSUS CHEMICAL FERTILIZERS - GET THE FACTS! "... be sure you understand what’s really happening to the earth under your feet, so that you'll make your choice consciously." 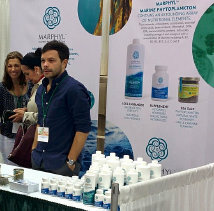 If you're in Toronto, come check out Marphyl Marine Phytoplankton at the Canadian Health Food Association (CHFA) Tradeshow this Saturday and Sunday September 16-17. The Canadian Health Food Association is Canada’s largest trade association dedicated to natural health and organic products. And if it's too far to travel, don't worry they have online shopping! 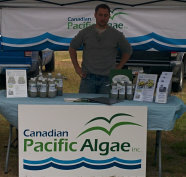 excited to brings its two newest products to the farmer's markets at Beban Park in Nanaimo. Cellankton RX150 is 100% pure all natural marine phytoplankton. Stop by and meet Dean our local expert, and sample our All Natural Sea Salt. 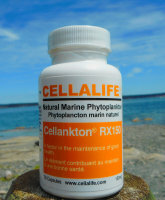 CELLALIFE products contain Cellankton - a 100% pure all-natural proprietary blend of multi-species marine phytoplankton. 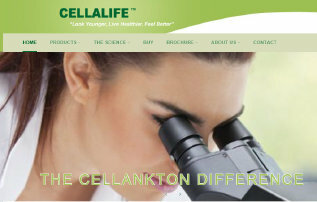 Cellankton is a healthy source of natural antioxidants which contributes to boosting the immune system and contributes to great overall health. Shopping online just got easier and healthier!